Even if you’re an Einstein, there’s no way you can remember all the user names and passwords for your Hotmail, Netflix, Gmail, multiple Bank accounts, Credit Card accounts, Dropbox and other sundry login details. People without a password manager tend to write the user names and passwords on a piece of paper (not good because you can easily lose it) or, worse, use the same set of user names and passwords for multiple accounts (more dangerous because if one of your accounts is compromised the others will soon be too). The biggest plus of a password manager is that you no longer have to remember multiple user names and passwords but just one master password that provides you with access to all the other user names and passwords. If you’re not using a password manager, get one immediately. There are several password managers but a lot of them charge a monthly fee. Since there are open source password managers of high quality, there’s no need to sign up for a fee-based service. My personal favorite is KeePassX. KeePassX is a decent password manager for Linux and has been around for more than a decade. I’ve used KeePassX on various flavors of Linux for a few years now and like that it’s free, local (i.e., not cloud-based), and comes with a secure password generator. The latest version is KeePassX 2.0.2-1 on Ubuntu/Linux Mint repositories but the version for CentOS 7 or CentOS 6 is 0.4.4. The official KeePassX version is newer, 2.0.3. Default security setting for the KeePassX database on version 0.4.4 of my CentOS 7 machine is AES (Rijndael) 256-bit encryption. KeePassX has URL open (ctrl u) and auto-fill (ctrl v) capabilities but I must caution that once in a while the auto-fill does not work. KeePassX also features Groups to let you keep all your user names and passwords for a certain category (say different e-mail accounts) into Groups. So you can have one group for E-mail, another for Entertainment (Netflix, Amazon Videos, etc. ), a third for your bank and credit card accounts and so on. Installing KeePassX on CentOS 7 or CentOS 6 is a no-brainer. Since every individual has unique needs, it’s hard to speak for everyone. In my case, I prefer a password manager that’s local. So KeePassX is a plus for me. But others may want a cloud-based password manager that they can access from any device anywhere. KeePassX will not please such people because it lacks a cloud version. But you can keep a copy of the encrypted KeePassX database on Dropbox or similar online storage service and access the KeePassX database that way. 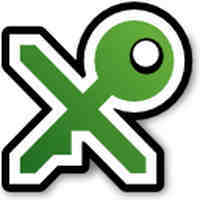 Overall, I’ve found KeePassX to be a reliable Password Manager on my CentOS 7 and Linux Mint 18 systems. You can read more about KeePassX on the password manager’s web site KeePassX.org. This morning I was checking via the command line to see if MySQL Server was installed on my Linux Mint 18 (Sarah) system and fumbled around a bit about how to do it. Presumably, there are many other Linux users who wish to install a package and unsure how to check it on the command line. So I decided to do this blog post on the various ways to check if a particular package is installed on a Linux Mint or Ubuntu system. For each unique method, I will illustrate with two examples (the first example for a package not installed and the second for a package that’s already installed). apt-cache policy is a quick way to determine if a particular package is installed on a Ubuntu or Linux Mint system. Since mysql-server is not on my system, I did not get any output when I ran the dpkg -l | grep mysql-server command. Let’s now consider the dpkg-query way to see if a specific package is installed on Ubuntu or Linux Mint. The above example clearly demonstrates that mysql-server is not installed on my Linux Mint 18 PC. dpkg -s package_name is another quick way to determine if a package is installed on an Ubuntu system. Since mysql-server is not installed on my Linux desktop, the above example did not produce any output. As I say often, there are many ways to skin a Linux cat. Here are a few ways to create a new file on a Linux system. I have tested the following commands on CentOS 7 and Linux Mint 18. Once new_file is opened, hit ctr-o (i.e., the alphabet o and NOT zero). To save your new_file, hit Esc, then type :wq the file will then be saved and you will exit vim. The bigwigs at Linux Mint have spoken. The nice minimal install option available in the new Ubuntu 18.04 LTS distro will NOT be offered with the upcoming Linux Mint 19 aka Tara. With Ubuntu 18.04’s minimal install, you only get the Firefox browser and a few basic utilities, not the fancy stuff like LibreOffice, etc. 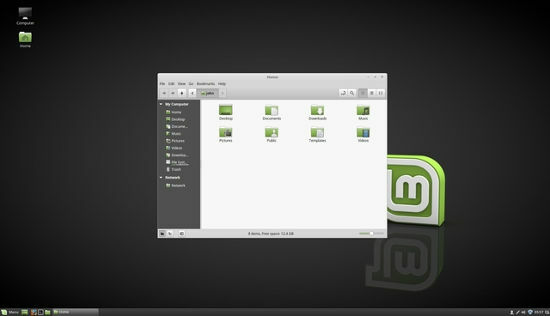 Linux Mint did not provide any reason why such a cool feature as minimal install would not be made available in the next major version of the popular distribution. Well, you can’t really question the wisdom of the Delphic oracles. Can you? Although based on Ubuntu 18.04 LTS, Linux Mint 19 will likely differ from its parent in another important way too. Linux Mint developers are considering retaining support for home directory encryption, a feature stripped in the Ubuntu 18.04 installer. But a final decision has yet to be made in this matter. Ubuntu 18.04 LTS aka Bionic Beaver is out today (April 26, 2018) and you can download it here. After downloading it, go to the folder and do a shasum check to ensure your download’s integrity. Since this is a LTS (long term support) version, users of Desktop, Server and Core editions will get support in terms of security and other updates for the next five years, i.e., until April 2023. I’m not a stranger to Ubuntu 18.04 LTS since I had already downloaded beta 2 (desktop version) a few days back on a Dell Optiplex 780 PC and launched it via Virtualbox. In this brief post, I’ll quickly show you how to check via the terminal if a particular program is installed on an Ubuntu Linux system. For easy understanding, I will consider a program that is already installed (keepassx) on my computer and one that is not installed nmap.